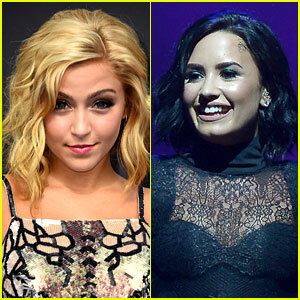 Millie Thrasher Photos, News, and Videos | Just Jared Jr.
Sweet Suspense's Millie Thrasher Reunites with Demi Lovato! Millie Thrasher has plenty of great memories with Demi Lovato during her time as a contestant on The X Factor and they just shared a super sweet reunion! The 17-year-old singer came in 12th place on The X Factor as part of the girl group Sweet Suspense, though the group has since broken up. Millie went to see Demi perform during the opening night of the Future/Now Tour in Atlanta the other day. “This lovely lady KILLED it tonight!! #TheFutureNowTour was incredible, but the highlight of the night was definitely seeing Demi backstage! She told me I’d grown up since #XFactor haha. Can’t wait till the next time I see her,” Millie captioned a photo of herself and the former judge. Go see it on her Instagram page! Millie Thrasher Strips Down Calvin Harris' 'How Deep Is Your Love' In New Cover Vid - Watch Now! Millie Thrasher just dropped a killer cover of Calvin Harris‘ “How Deep Is Your Love”! The 16-year-old former Sweet Suspense singer shared the video with fans on YouTube, Facebook and Twitter — with a countdown until the release. “THANK YOU FOR ALL THE LOVE ON THE NEW COVER!!! I’m so incredibly happy that you guys like it!! If you haven’t seen the video yet, the links in my bio (wink wink????????) IF YOU ALREADY HAVE (first of all I love you a lot) & second make sure to like, comment, and subscribeeeee???? (oh and tell all yo fwiends),” Millie shared on Instagram later on. Former Sweet Suspense Singer Millie Thrasher Covers Justin Bieber's 'Sorry' - Watch Now! Check out this cool new cover from Millie Thrasher! Not only does she show off her singing voice, but Millie kills it in the dance department too. “Excited to share my cover of @JustinBieber’s #Sorry with u all! Hope u all it as much as I loved making it for u!” she tweeted. Austin Mahone poses with Millie Thrasher and her Sweet Suspense bandmates Summer Reign and Bryana Salaz at her Sweet 16 Birthday Party held at Riviera 31 on Sunday (June 28) in Beverly Hills, Calif. 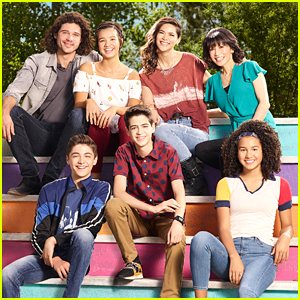 The group was also joined by Gavin MacIntosh and girlfriend Brooke Sorenson, Forever in Your Mind, Blake Michael, and Diamond White. 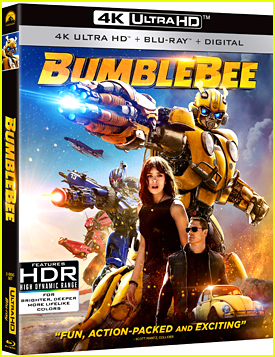 Also in attendance were Sammi Sanchez, Dylan Riley Snyder, Karan Brar, Haley Tju, Brec Bassinger, and Tiffany Houghton. Guests enjoyed some yummy Coldstone Creamery cupcakes and a cake from Cake Studio LA, while DJ Alex Angelo provided the music entertainment. Bryana and Summer even sang an acapella version of “Happy Birthday” to Millie! Eeee! JJJ is so excited to exclusively introduce you to the newest member of Sweet Suspense, Bryana Salaz! Bryana replaces Celine Polenghi as the third member of the X Factor alum group and we got Summer Reign and Millie Thrasher to introduce you to Bryana in a cool new video. Check it out below! “I’ve been completely obsessed with Sweet Suspense ever since the first time I heard their music. This is beyond a dream come true and a chance of a lifetime!” Bryana tells JJJ. “We can’t wait to perform together and meet all of you as we travel coast to coast. Bryana is already like a sister to us and we know you will love her as much as we do!” Millie dished. But that’s not all — Sweet Suspense will be taking over our Twitter and Instagram TODAY! Be sure to follow #SweetSuspenseJJJ on both networks so meet Bryana and see what the group is up to, and click inside for all their PopNation tour dates this summer! Sweet Suspense Hang Out With Hallmark Channel�s Happy the Dog for a Good Cause! 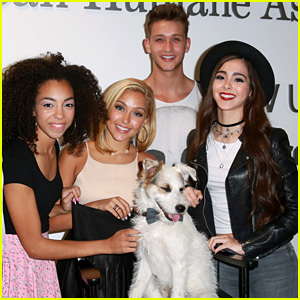 Sweet Suspense hit the carpet at the American Humane Association’s 100 year anniversary of its Be Kind to Animals Week last week in Los Angeles. 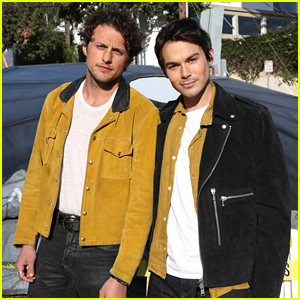 The girls – Summer Reign, and Millie Thrasher – were joined by Teen Wolf hottie Cody Saintgnue and singer Sammi Sanchez. “Thanks @HallmarkChannel and @AmericanHumane for the best pet adoption event ever with @HappyCatandDog! #Kindness100,” they tweeted. The American Humane Association created Be Kind to Animals Week in 1915 to encourage compassion toward animals. Every year, animal shelters throughout the country hold special events during this time-honored week to raise awareness about animals in our homes and communities and to celebrate the unique bond between humans and animals.